Aga Maksimowska emigrated from Poland in 1988. 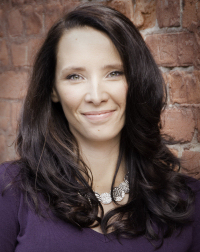 She studied Journalism at Ryerson University and Education at the University of Toronto. In 2010, she completed a Master’s of Fine Arts degree in Creative Writing at the University of Guelph. She lives in Toronto with her husband and daughter, where she is teaching high-school English and working on her second novel. Gosia is barely a teenager, but she has the body of a fully-developed woman. She lives in Morena, Poland in the waning days of the Communist era with her sister Kasia and their grandparents. It’s been almost three years since her mother left them to make money in Canada, and Gosia desperately misses her. The girls rarely see their father, who works at sea on freighters. One day without warning, Gosia and Kasia are sent on “vacation” to visit their mother. They never return. Gosia soon has to face the torment of her Canadian schoolmates, the struggle of learning a new language, and the frustration of living with her mother’s cantankerous partner, Serge. It takes all her savage, plucky wit to survive and to thrive. 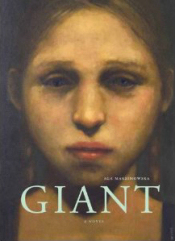 In this heart-rending coming-of-age story, Maksimowska addresses the painful adjustments of immigration from the perspective of a complex, sympathetic Polish family newly released from the bonds of Communism.